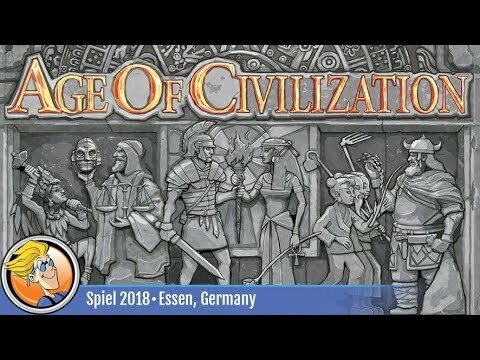 Age of Civilization is a pocket-sized civilization game. Throughout one game, each player leads up to three historical civilizations to form a unique combination of abilities. Players build Wonders, research technology, develop culture, conquer for glory, or even enslave their people. Only the player who wisely manages his workers and wealth can achieve the greatest civilization. In the Age of Civilization, you must lead your people to their glorious future. Analyze the characteristics of every era you are facing, make the best choice for your kingdom development, and become several famous civilizations in our fascinating history. By going through the rise and fall of empires, a unique civilization of yours will finally arise!